We stayed in Carole and Basil's incredible loft for a long weekend friends getaway... The loft is spacious and open, with a gorgeous kitchen and lots of seating for dining and lounging. We loved the space so much that our nights were spent in hanging out, talking and playing games at the loft instead of going out to bars. The location is fantastic too. Very close to the red line, Whole Foods, restaurants and lots of shops. 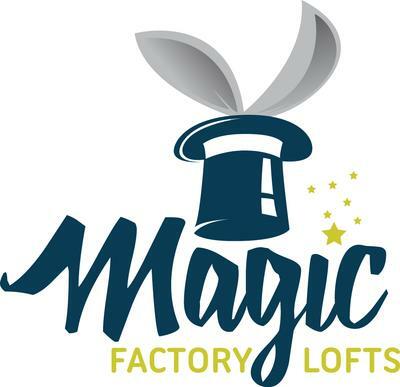 Amazing 3 and 4 bdrm loft homes, perfect for girl's getaways, family reunions, couples weekends in the City. Our homes are as comfortable for 4 as they are for 14 - with real beds in bedrooms for our guests (we're an AIR MATTRESS FREE ZONE!) and dining room tables that have room for the whole gang. Our fully stocked chef's kitchens will tempt you to cook, but we're also surrounded by great dining options so if you're not in the mood you won't have to go far. Our funky warehouse & former tavern turned costume factory turned fabulous Lincoln Park home can be your home away from home in Chicago. Located in Chicago's hottest neighborhood at the crossroads of Lincoln Park - Old Town & River North - we are just two blocks south of Chicago’s “little Michigan Avenue” and on the Halsted Street busline, the North Avenue & Division street buses as well as the North/Clybourn Red Line and the Sedgwick Brown Line. We're just north of hot Fulton Market & Randolph Street, just south of DePaul, Boystown & Wrigleyville, just east of Wicker Park and straddling Lincoln Park and Old Town. In short, there is nowhere you can't get to in pretty much a straight shot. If you’re heading to Chicago and looking to be near downtown but want a more neighborhood experience with friendly, knowledgeable transcontinental hosts, our home on Halsted just might be the perfect fit for you.